This chapter discusses the role of self-awareness for adaptation at the individual level, when one single entity receives inputs both from itself or some of its components and from the external environment and uses the input to adjust to the current conditions. 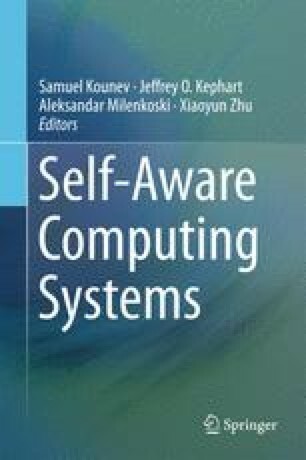 The chapter reviews the most widely used techniques for self-adaptation and identifies the role of self-awareness for each of the techniques and the metrics used to evaluate these techniques. Finally, we pave the way toward the following chapter, which discusses multiple entity adaptation, by introducing the interaction of different self-adaptation techniques at the level of the single individual. This work was partially supported by the Swedish Research Council (VR) for the projects “Cloud Control” and “Power and temperature control for large-scale computing infrastructures,” and through the LCCC Linnaeus and ELLIIT Excellence Centers.